The second fascinating contribution from a guest author. 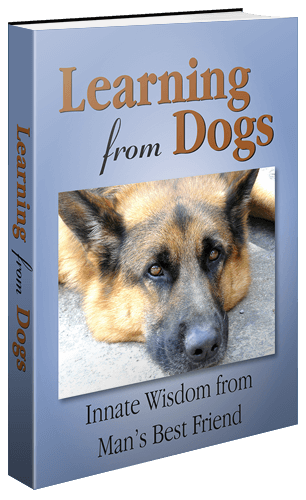 On Monday I mentioned that I had been approached by two authors who wanted to share their articles with the readers of Learning from Dogs and on that day I published a guest post from Dr. Jane Brackman. Today, I’m delighted to share with you the thoughts of the second of those authors, Kylie Dunning, who describes herself as a writer who holds a strong passion for Psychology, especially in the field of Forensics. She is a lover of animals and an avid hiker in her spare time. Trainer Julio Simuel (left) watches as his student “Walker” gets congratulations from admirers following a graduation ceremony at Nash Correctional Institution last Wednesday. In 1981, Sister Pauline Quinn envisioned a prison pet partnership program where inmates would train dogs for people with disabilities. Designed to benefit unwanted dogs, the inmates, and the future dog owners, the program was initiated in the Washington state prison for women. The success of the program led to dog training programs in prisons all over the country and has since become part of the material in forensic psychology programs and criminal rehabilitation programs. Male and female inmates train anywhere from three to fifty dogs at a time for adoption into new families, as service animals, and sometimes for specialized purposes such as bomb-sniffing. There are other benefits. The prisoners who worked as trainers hope to find jobs in animal care as soon as they leave prison. Others, serving longer sentences, are given a sense of purpose and an improved outlook. Psychologically, having a dog to care for serves as a form of therapy and decreases depression, and it brings out good qualities in the inmates, even improving their attitude toward each other. The inmates can see positive changes from working with dogs. Spencer says of his fellow inmate, “When I first met (McMullin), he was … well, pretty grouchy,” Spencer says. “Now he’s more open and alive and he has a positive outlook.” Other work programs can help prepare inmates for a job after release, but working with dogs may psychologically be a more effective way to rehabilitate them. With prison populations stressing already taxed resources, and the more and more animals in need of homes, the use of dog training programs in prisons is more than a happy accident. It is a creative way of using state resources to do real and lasting change in society. Well what another wonderfully interesting guest post. Thank you, Kylie. More please! Using details in Kylie’s article, it was very easy to find this video, plus the photograph at the head of the article came from the Southern Siberian Rescue website. 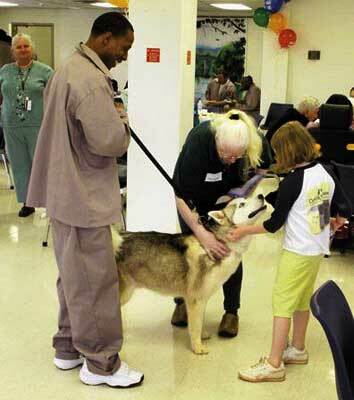 Homeless dogs are getting special help from inmates. The Columbia County Sheriff’s Office has launched their own “New Leash on Life” program that benefits inmates at the Columbia County Jail and the dogs.